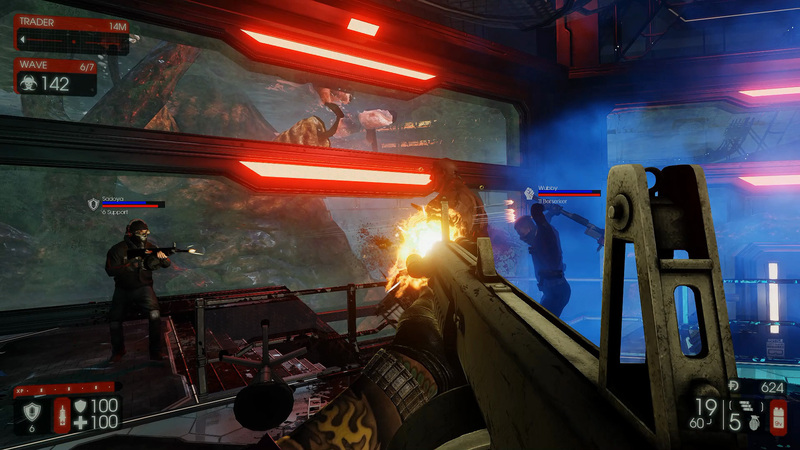 Killing Floor 2 Early Access – let’s rock! A gorefast charges me down. 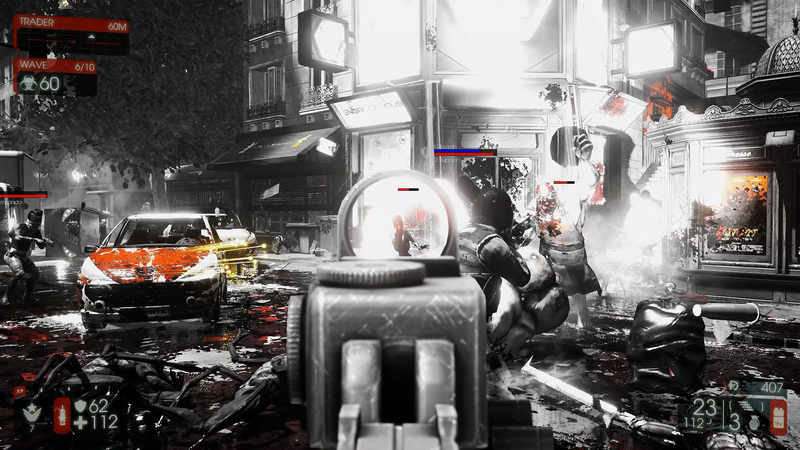 KF2 is more a polished remake than the sequel. 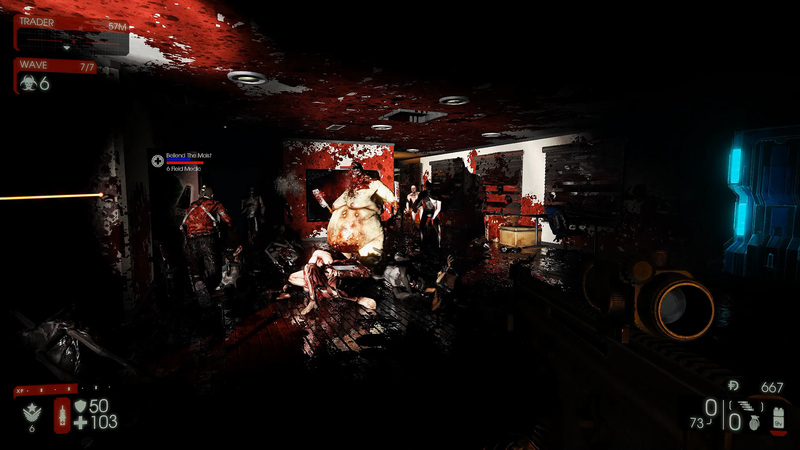 Killing Floor is somewhat of an enigma. 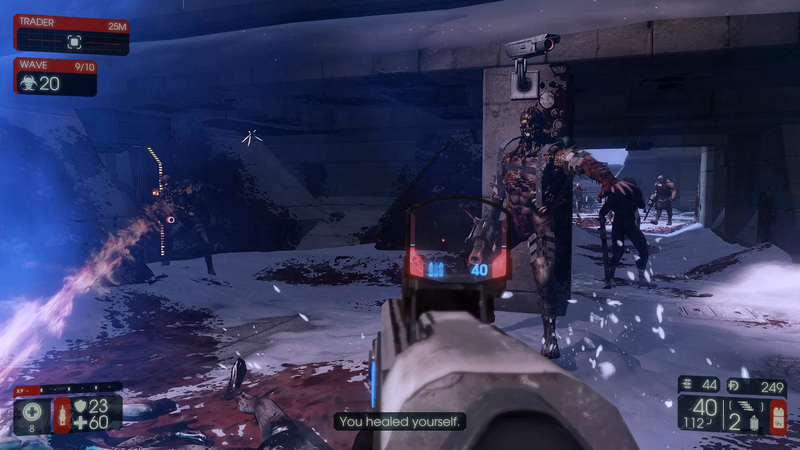 On the first encounter, you’d be forgiven for writing it off as just another brain-dead zombie survival FPS. There’s no denying the repetitive gameplay, graphics that were dated on release, clichéd monsters (known as zeds/specimens), hammy voice acting, cringe-worthy jokes, generic metal soundtrack, and a clunky and buggy interface. Yet despite its wobbly production values, this is an indie PC game that has sold around 3 million copies since its commercial release in 2009 (originally beginning life as a mod for UT2004 back in 2005) and which still enjoys a strong player base and vibrant modding community six years later. And it’s not undeserved: KF is a surprisingly intelligent, well-balanced, and highly-addictive co-operative multiplayer that delivers intense, fast-paced and rewarding action while putting a critical emphasis on tactics, teamwork and communication. It’s the perfect game to play with friends, but jumping into the fray with a bunch of randoms can be just as much fun and a good way to make new acquaintances. 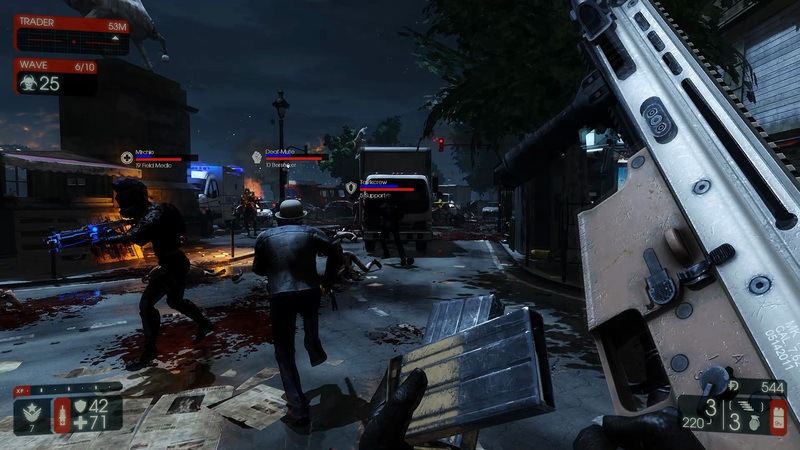 A key factor in its sustained popularity has been Tripwire Interactive’s continued support for the game through numerous free content updates including a host of new maps and the annual Summer, Halloween and Christmas-themed events – what’s not to love about slaughtering an army of psychotic elves, gingerbread men and Santas? The outpost, one of three maps in the current build of KF2. I’m not sure these guys are wearing clothes appropriate to the weather conditions. It’s certainly done enough to justify a follow-up. 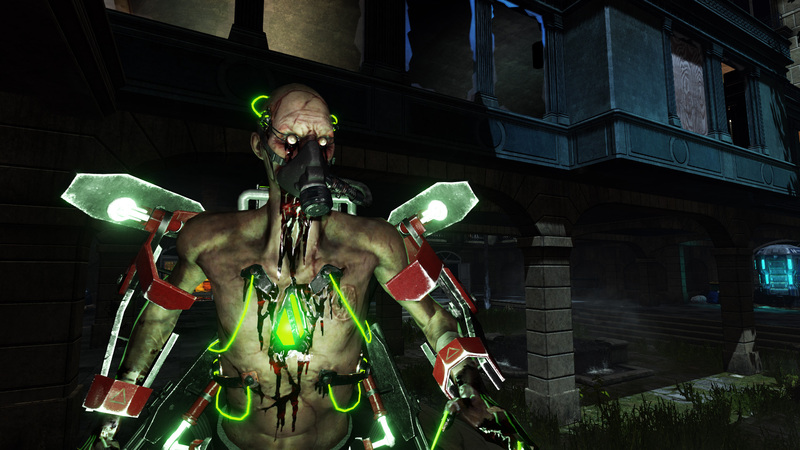 But Killing Floor 2, now available on Steam Early Access, is less a sequel than a highly polished remake. 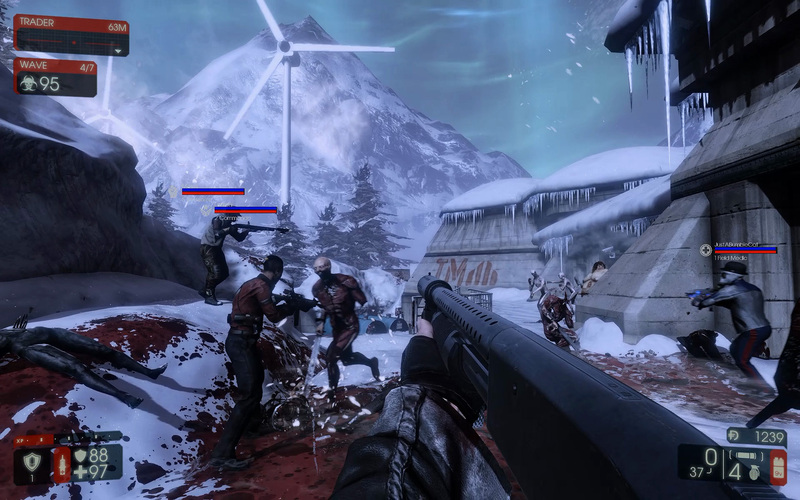 The graphics, sound and interface may have been brought into the modern era, but the gameplay is identical: you and up to five other players must work together to survive a sequence of increasingly difficult waves that comprise swarms of randomly spawning zeds, climaxing with a tough boss fight. A brief reprieve between waves allows you to spend cash earned from fighting on restocking ammo and upgrading equipment and for dead players to respawn. All the zeds from KF1 have returned in KF2, each still posing a distinct type of threat and with some needing to be dealt with much more urgently than others – ignore a raging fleshpound or scrake at your peril! But Tripwire have made some alterations, such as an overhauled progression/perk system. 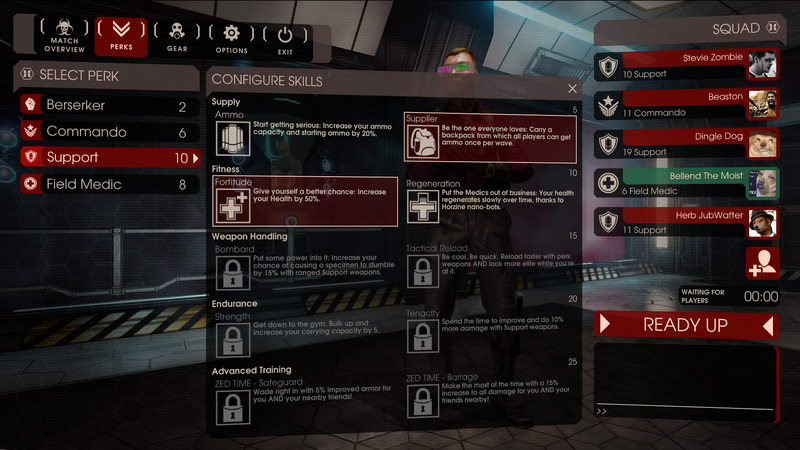 As with KF1, each player chooses a perk that grants increased proficiency with certain weapons classes and bestows specific bonuses/skills, but now ranking up individual perks also allows you to non-committally select up to five additional skills (one every five levels). However, the perks no longer provide class-specific weapon discounts at the trader. And instead of six levels for each perk, there are 25, with progression now primarily based on XP gained from kills/assists using perk weapons. So in KF2, it’s much quicker for medics to level up by scoring kills than through healing comrades. And now everyone starts off with a basic perk weapon instead of just a pistol, whereas in KF1 you had to reach level 5 for this privilege. There are now 25 levels for each perk. Every five levels grants you access to a pair of new skills, from which you can non-committally select one. Presently, there are only four perks in the game, medic (healing obviously), support (shotguns), commando (assault rifles) and bezerker (melee), but there will be 10 in the final game including the return of the sharpshooter (precision rifles), demolitionist (explosives) and firebug (fire-based weapons), and some new perks in the form of gunslinger (pistols presumably), martial artist and SWAT, of which specific details are yet to be confirmed. Another significant update relates to door welding. Broken doors are now persistent and so no longer respawn at the end of waves, meaning teams need to be far more judicious with this tactic. Plus zeds spawn from far more locations than before. Together this makes it much harder to funnel zeds through choke points, so “kiting” is more essential than it was in KF1. The environments are also darker overall, making crawlers harder to see and reliably landing headshots in poorly lit areas can be tricky. It generally feels more challenging than KF1, not necessarily a bad thing, but this may change with the introduction of additional perks. 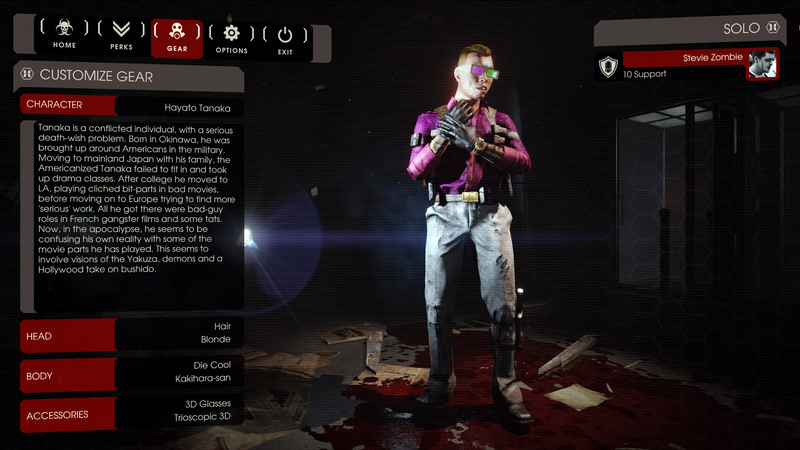 Medics in KF2 have access to a wide range of guns, including an SMG, a shotgun and an assault rifle, and they can now rank up by scoring kills and assists as well as from healing teammates. New to the game is the ability to parry with a melee weapon. Time this perfectly and your attacker will stumble while you take only minimal damage – very useful against the bigger specimens and something the bezerker will want to master. But gun-toting players needn’t feel left out as they can now perform a bash that pushes smaller zeds backwards (and can knock off heads if aimed correctly), creating valuable breathing space if you get swamped while reloading. The most notable change, however, is the introduction of a new boss, deranged Nazi scientist Hans Volter (pushing the boundaries of creativity there then). He possesses a variety of attacks that can decimate your team at any range in a matter of seconds and is close to invincible (85% damage reduction) once he enters a “vampire” phase where he charges at players in an attempt to fully replenish his health, although he is only able to do this a total of three times. At the moment you’re mostly reduced to running away, as getting anywhere near him is suicide. With a good team who constantly heal each other Hans can be defeated, but he does seem much tougher than the Patriarch from KF1 (who apparently will be returning in some form) and I feel a bit of rebalancing might be in order. A remake it may be, but KF2 builds upon a great game while still feeling fresh, fun and engaging. The significantly upgraded visuals, built on the Unreal Engine 3, are very solid and attractive. The sound design is excellent (to be fair the positional audio in KF1 was very well done), and the more varied industrial/metal soundtrack fits the mood and tempo perfectly. Plus the weapons really look, sound and feel the part now, and the new “tactical” reload animations are pretty damn cool. There are only three maps in the current build, but the environments are atmospheric, purposeful and full of detail that alludes to a narrative which both follows on from and expands upon the first game. Not that a narrative is really necessary, but it adds a splash of colour to the KF universe. They’ve also added some diversity with customisable avatars that feature distinct personalities (actually voiced by professionals this time rather than Tripwire VP Alan Wilson) who chat and banter with each other during the battles – don’t worry you can turn this off if becomes annoying! It feels so much more immersive and intense than before. Once the zeds starting pouring in pure, unadulterated carnage ensues – if you’re anything like me, you’ll find yourself screaming “let’s rock!” Guns roar, blades slash, monsters screech, mangled corpses pile up. 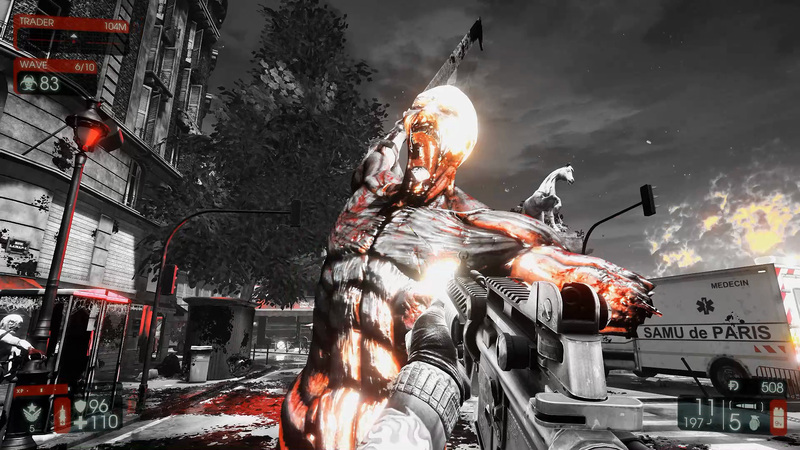 The gore has been ramped up to 11 in KF2, so heads pop, bodies are torn apart in exaggerated sprays of blood, limbs and entrails go flying everywhere, weapons and survivors get caked in putrid goo, and after a few waves entire areas of the map are completely drenched in a sticky sea of red (check out the gameplay video at the end of the post). A sticky mess. Blood is now persistent and sticks to every surface. But the most memorable moments tend to come from zed time, sporadic short-lived moments, highly reminiscent of bullet time from the Max Payne games when time slows down and the world fades to monochrome and rouge. The sound grinds down to distorted bassy tones, zombies lurch towards you in slow-motion, bullets trails zip by, blood and gore hang in the air. There is nothing more satisfying than taking advantage of these moments to line up a sequence of headshots to clear a path through the horde.